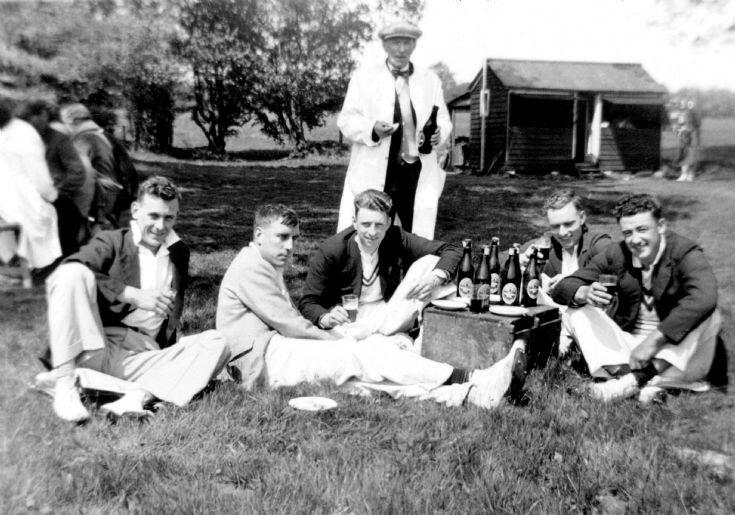 Some of the Pease Pottage cricket team are enjoying the tea-break with a few bottles of beer. Well, there has to be some advantage in having Bill Thorn, landlord of The Grapes, in your team! The umpire is my grandfather, Harry Ray, and sitting, from the left, are Doug Rice, Unknown, Guy “Gerry” Ray, Joe Ray, and Nelson Cook. The picture is particularly poignant as Doug Rice died in the summer of 1929 and his death was the first item on the agenda of the AGM held on 6th March 1930. Click on Large Version to view the minutes of the meeting. The Working Men’s Club was in the building at the northern end of Tilgate Forest Row, and has had many uses over the years including the village post office. (picture #166).